"In a future world, life is tightly controlled by the all-powerful PareCo. Standing out from the crowd is dangerous so misfit Luna hides her secrets carefully, not realising her own power. Unlike her friends and family, Luna has never been able to plug into Realtime, PareCo's virtual world, where almost everyone now lives their lives. So how do PareCo know about Luna, and why do they want her for their elite think tank? The truth is hidden in a web of shining silver secrets, and the corrupt authorities would do anything to keep it that way. Can Luna find a way to use her own hidden powers and bring the truth to light before it's too late?" Luna is a refuser: she can't get an implant and plug into Realtime, where everyone else lives a virtual life. She is a social outcast, and doesn't want to get an implant, like all of her family and friends, as it goes against everything she has ever believed in. PareCo is the organisation that has made up all of the virtual worlds. Luna desperately tries to stay unnoticed, but fails when PareCo invite her in to do the, "Test," which highlights innovative, intelligent young people. What do PareCo want to do with Luna? Can Luna discover her own secrets, and powers? Will she use them to alert everyone of the truth? "Mind Games," instantly appealed to me- as I loved Terri Terry's writing style in the "Slated," series. The cover is also beautiful; and very appealing, so I had very high expectations for the book- and was very excited to read it a while before it's release date. Terri Terry has a very easy, unique writing style, that has every reader latching on until the very end of any of her books. However, I felt this style lacked in this particular book; although I think I was spoiled by the, "Slated," books, as they were magnificent. I loved the main character, Luna is very gutsy, and a very likeable protagonist- standing up for what she believes in. I also really enjoyed how the plot was technology and futuristic based. You can imagine that the world could potentially have virtual worlds that people can plug into very soon. Terry has clearly developed a strong, complex plot. But; I felt that a big chunk of the book was quite slow paced, and didn't really have any drive. Overall, I rate the book 3.5/5 hoots, as it didn't have me excited, constantly turning the pages- desperate to find out what would happen next. 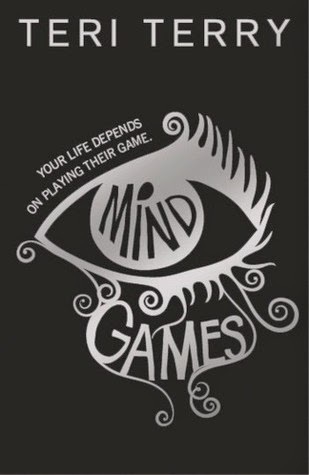 But, "Mind Games," is a solid, good read- that fans of Terri Terry will enjoy.